MEGADETH has canceled the remaining two shows on its European tour after David Ellefson fractured his foot before a scheduled concert in Hungary. 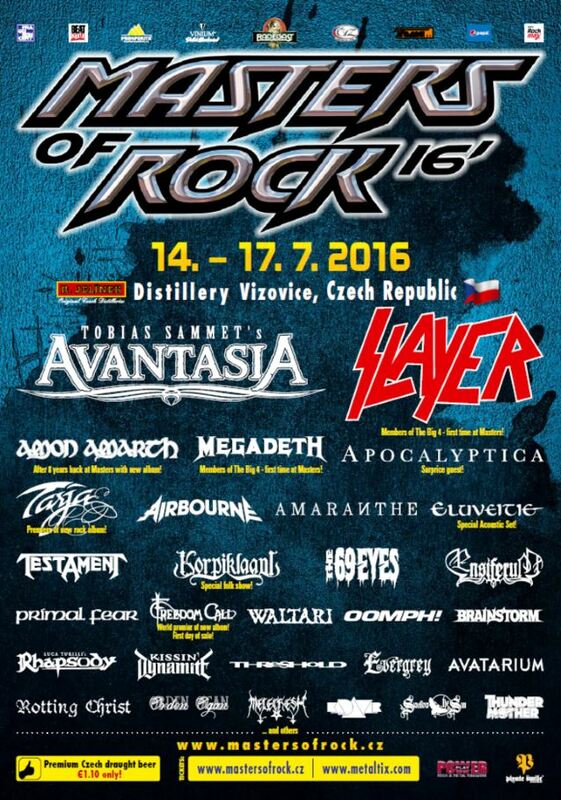 MEGADETH was slated to play the Harley Days festival in Slovakia Saturday night and the Masters Of Rock festival in the Czech Republic on Sunday, July 17. Both of those shows have now been called off, with MEGADETH mainman Dave Mustaine explaining in a video message (see below): "Our bass player's received a severe break to his foot. I'm very, very sorry to tell you this. But we will make it up to you next summer. Please hang in there and stay metal." Ellefson apparently suffered his injury while walking around the backstage area before MEGADETH's scheduled appearance Friday (July 15) at the Rockmaraton festival in Dunaújváros, Hungary. 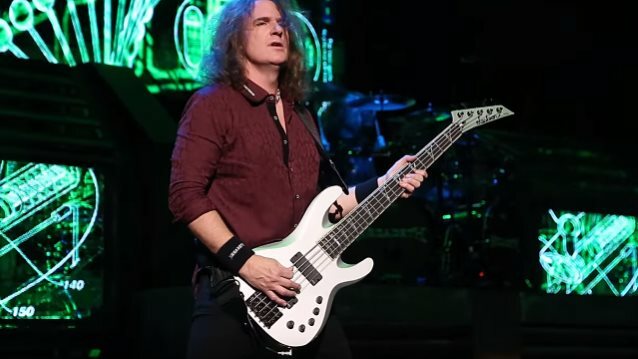 The event organizers immediately called an ambulance and Ellefson was transported to the Saint Pantaleon hospital in Dunaújváros, where his foot was placed in a cast. According to the organizers, Ellefson was in a good mood despite his injury and was taking selfies with the paramedics on his way back to the venue, still apparently believing that he would be able to play the show. Mustaine also seemed sure that the gig would happen, but apparently changed his mind shortly before MEGADETH was due to kick off the concert. The MEGADETH leader eventually went up on stage and announced the band's cancelation to disappointed fans. "I've got some bad news I have to tell you," Mustaine told the crowd (see video below). "David Ellefson has fallen and has injured himself. He had to go to the hospital and he's unable to play. So we're gonna try and figure out when we can reschedule and come back for you guys. It's with really heavy hearts that we have to do this, but he can't play; he's unable to do this. Hold on to your tickets. We're gonna be back and we're gonna make it up to you guys. You guys know David Ellefson. He would do it if he can. We love you very, very much." It is not presently clear if Ellefson's injury will affect MEGADETH's South American tour, which is scheduled to kick off on July 30 in Quito, Ecuador. In addition to Mustaine and Ellefson, MEGADETH's current lineup includes Brazilian guitarist Kiko Loureiro, best known for his work with ANGRA, and former SOILWORK drummer Dirk Verbeuren.